This information for parents and carers includes the DfE 'end of year expectations' for children in our school. These have been identified as being the minimum requirements he DfE considers your child must meet in order to ensure continued progress throughout the following year. All the objectives will be taught throughout the year by our staff. Any extra support you can provide in helping your children to achieve these is greatly valued. If you have any queries regarding the content of the information or want support in knowing how best to help your children please do talk to your child’s teacher. How to do addition of a two digit and two digit number using a number line. 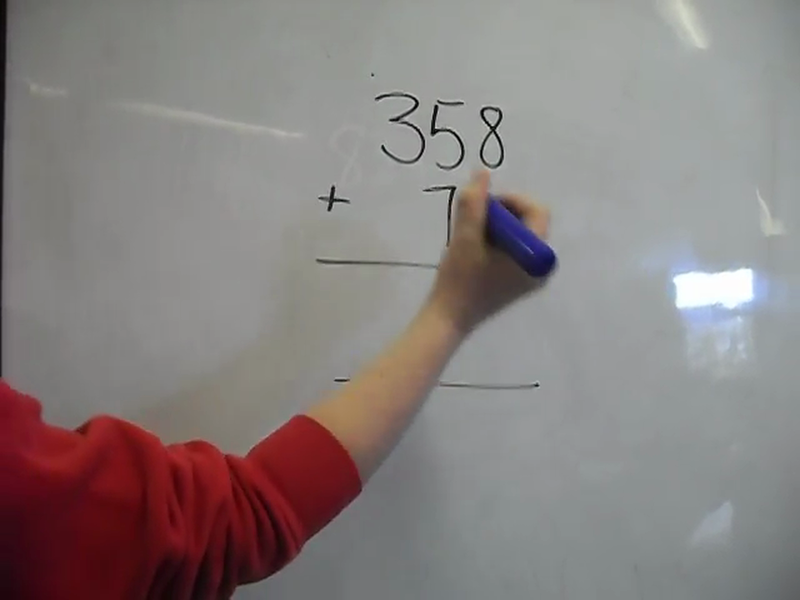 Addition - How to partition and recombine a two digit and a two digit number. Addition - Partition and add using column addition. Compare & order numbers up to 100. Read & write all numbers to 100 in digits & words. Count in multiples of 2, 3 & 5 & 10 from any number up to 100. Recall & use multiplication & division facts for 2, 5 & 10 tables. Recall & use +/- facts to 20. Derive & use related facts to 100. Recognise & use inverse (+/-). Calculate & write multiplication & division calculations using multiplication tables. Recognise & use inverse (x/÷). Recognise, find, name & write 1/3; 1/4; 2/4; 3/4. Recognise equivalence of simple fractions. Read & write all numbers to 1000 in digits & words. Count from 0 in multiples of 4, 8, 50 & 100. Numbers with up to 3-digits using efficient written method (column). Compare & order fractions with same denominator. Know pairs of fractions that total 1. Know number of days in each month. Compare & order numbers beyond 1000. Compare & order numbers with 2 decimal places. Find 1000 more/less than a given number. Count in multiples of 6, 7, 9, 25 & 1000. Recall & use multiplication & division facts all tables to 12x12. Recognise place value of any 4-digit number. Round any number to the nearest 10, 100 or 1000. Numbers with up to 4-digits using efficient written method (column). Numbers with up to 1dp. Read, write & convert time between analogue & digital 12 & 24 hour clocks. Count forwards & backward with positive & negative numbers through zero. Count forwards/backwards in steps of powers of 10 for any given number up to 1000000. Compare & order numbers with 3 decimal places. Read Roman numerals to 1000. Identify all multiples & factors, including finding all factor pairs. Recognise place value of any number up to 1000000. Round any number up to 1000000 to the nearest 10, 100, 1000, 10000 or 100000. Round decimals with 2dp to nearest whole number & 1dp. Numbers with more than 4-digits using efficient written method (column). Numbers with up to t 2dp. Recognise mixed numbers & fractions & convert from one to another. Multiply proper fractions by whole numbers. Read and write numbers to 10,000,000. Round any number to any degree of accuracy. Add and subtract negative integers. Use tables to work with decimals (to 1dp). Multiply 4-digit whole numbers by 2-digit whole numbers. 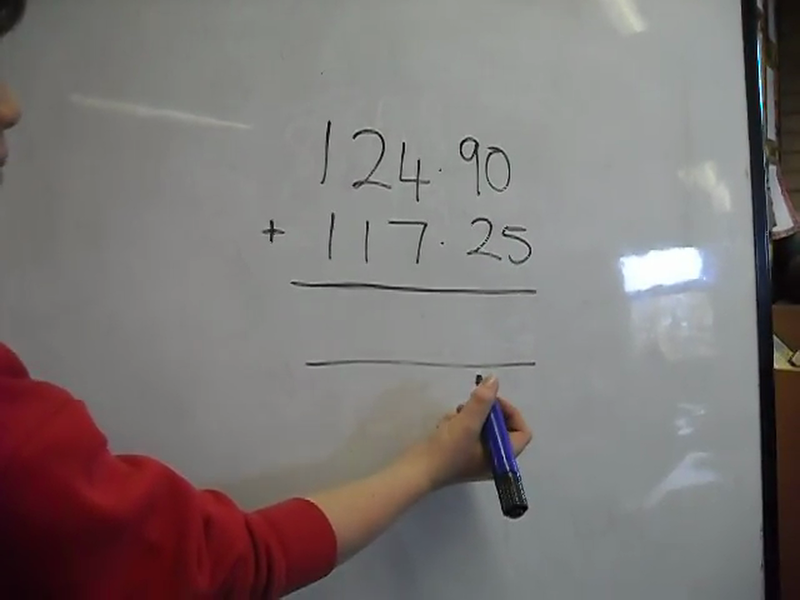 Divide numbers up to 4-digits by a 2-digit whole numbers and recognise remainders. Multiply and divide decimals by 10, 100 or 1000 in their head. Multiply and divide a number with up to two decimal places by 1-digit and 2-digit whole numbers. Work out simple % of whole numbers. Use ratio to show the relative sizes of two quantities.